Thank you for visiting another one of 360 Exotics's online listings! Please continue for more information on this 2018 Nissan Frontier PRO-4X with 27,791mi. This 4WD-equipped vehicle will handle beautifully on any terrain and in any weather condition your may find yourself in. The benefits of driving a 4 wheel drive vehicle, such as this Nissan Frontier PRO-4X, include superior acceleration, improved steering, and increased traction and stability. This is about the time when you're saying it is too good to be true, and let us be the one's to tell you, it is absolutely true. Driven by many, but adored by more, the Nissan Frontier PRO-4X is a perfect addition to any home. 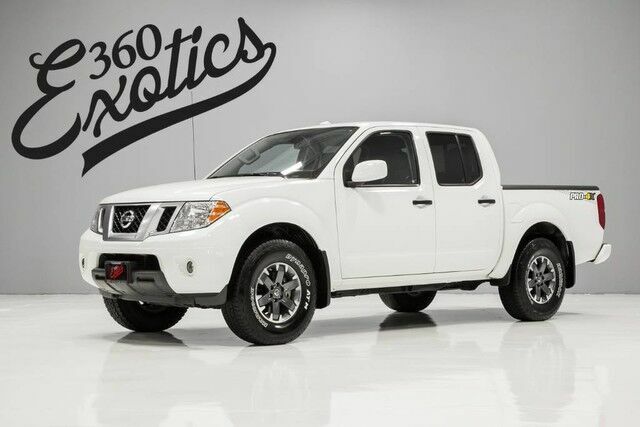 There are many vehicles on the market but if you are looking for a vehicle that will perform as good as it looks then this Nissan Frontier PRO-4X is the one!